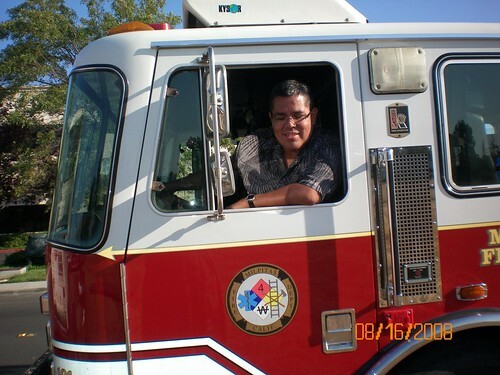 Where is Celebrate Milpitas! located? Look up! 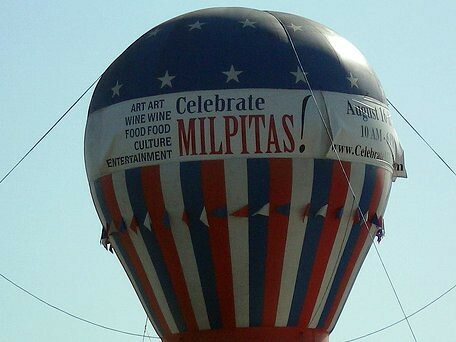 You will see a huge balloon, marking the fetival site: Calaveras and South Milpitas Blvd. You will see carnaval rides (very cute train ride), two music stages, food stalls, community organization booths, and other vendors. Here is our booth, staffed by Terry, the Corrections Educations Director, and Guillermo, ESL 4 teacher. The booth was very popular. In the morning, students from Victoria Beauty College gave free manicures. In the afternoon, the medical tech students checked people's blood pressure for free. In the late afternoon, it was quiet and cool, but we still handed out alot of class schedule booklets. 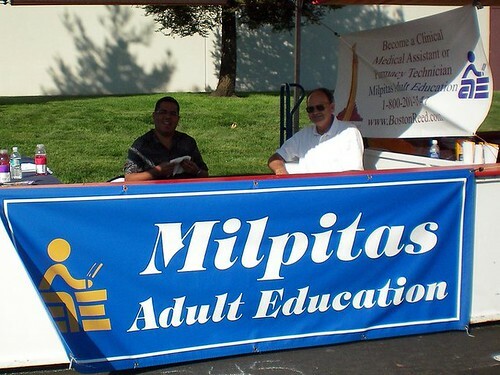 See you at Celebrate Milpitas!